Oftentimes, the rights of defendants in criminal cases garner the most attention. But what about the rights of victims and their families? Take, for instance, Ken and Winona Redhorse. 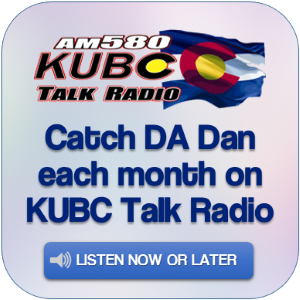 Their daughter, Nicole, in 2007 was repeatedly raped and murdered in a Durango motel. Three men were tried and convicted for the crime. However, one of them was granted a new trial by an appeals court. The case was retried twice before the man, Harold Nakai, was ultimately convicted last year of sexual assault and criminally negligent homicide and sentenced to 51 years in prison. In the end, Ken and Winona Redhorse had endured five separate trials against those responsible for their daughter’s death. To aid in that effort, Hotsenpiller and his staff helped bring the Sing Our Rivers Red exhibition to Western State Colorado University last week. 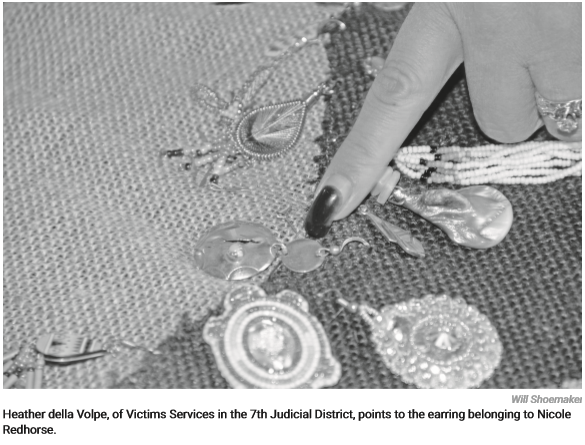 Hundreds of earrings covered a table in the University Center, each belonging to an indigenous woman who had gone missing or was murdered. Among them was a simple silver and turquoise earring belonging to Nicole Redhorse, whose memory Hotsenpiller has worked relentlessly to keep alive. Redhorse was born in Farmington, N.M., before moving with her family to Boulder. She graduated from Dartmouth College but later struggled with alcoholism and for that reason was targeted by the three men convicted in her death, according to Hotsenpiller, who served as special prosecutor in the second and third trials against Nakai. In addition to the exhibition at Western, the DA’s office hosted other events in recent days in honor of Victims Rights Week — including a brunch in Delta for victims rights workers and a gathering of law enforcement representatives in Montrose. Nicole Redhorse’s family was present for each of the events. For prosecutors and law enforcement, that often means fighting for victims — and their families. “That’s why we do what we do,” Hotsenpiller said.